The day of baby Bertie's christening arrives on Coronation Street next week, but it's far from harmonious. Granddad Ken is in a bad mood after receiving a letter from the council charging him with dog fouling while auntie Beth is delighted, and as the families bicker mum Sinead pleads for calm. Godfather Chesney Brown is upset that gobby girlfreind Gemma Winter is feeling too ill and hungover to go to the christening. Then she tries to make amends by cooking a fish pie (perfect for a hangover) but falls asleep leaving it to burn. 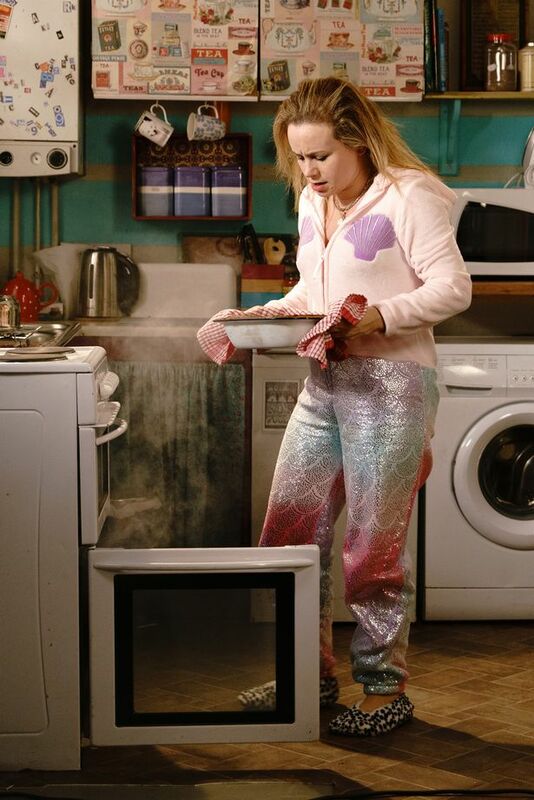 She later reads Chesney's texts to Tyrone and fears their relationship is over, and with Gemma still feeling sick Chesney implies that she has a drink problem. Her pal Rita Tanner questions whether the sickness could be something else and suggests a pregnancy test, and she's shocked when the test is positive. 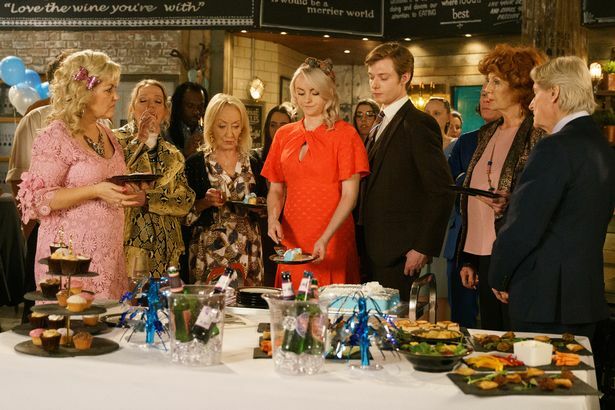 Bertie’s christening descends into chaos, and a food fight, as the Tinkers and the Barlows row over the dog fouling issue. In a bid to try and keep the peace Kirk picks up his guitar and starts singing - but will it do the trick? And Gary's world is shattered on Corrie when girlfriend Sarah realises the truth about loan shark boss Rick and that he had invited him into their home. Seb Franklin finds a battered and bruised Gary at the builder’s yard, and his ex boss tells him his van and tools have been stolen. Meanwhile Rita is horrified to realise the loan shark is the same man who once terrorised her. Elsewhere Carla Connor is still missing and Peter Barlow decides to use her photo on social media with the hashtag #findcarla. Her boyfriend is is sceptical until a notification pops up from someone claiming to have seen her.